Are you worrying about the data security and internet downtime while exchanging information with headquarter? 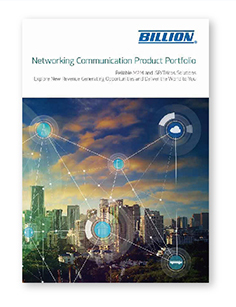 According to the recent survey, companies experience an average of 501 hours of internet downtime every year, and 56% did not have a formal network backup plan, which leads to lost sales, decreased productivity, and other related expenses and costs. 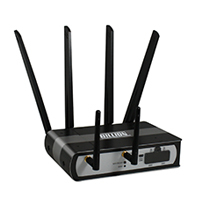 Billion’s Multi-WAN 4G LTE VPN router series delivers superior internet connectivity, which is specifically designed to easy-to-deploy and secure data transmission and payment processing to achieve reliable continuity at chain stores, Kiosk, POS and ATM. The series supports multiple VPN protocols including IPsec, L2TP, PPTP, GRE, and OPEN VPN, allowing users to establish up to 16 VPN tunnels simultaneously between multiple retail stores and the head office to offer excellent data encryption and safe data transmission. The Quality of Service (QoS) allows users prioritize and full control over outgoing data traffic with blistering connection speed to ensure everlasting browsing experiences. 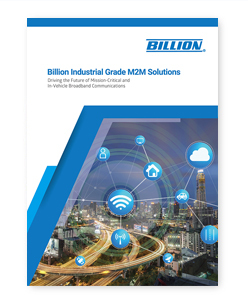 Billion’s LTE routers support a wide range of applications, including residential, chain store, enterprise, in-vehicle, oil and gas field, etc. 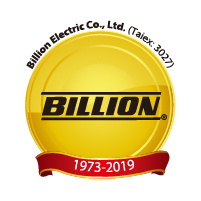 To prove that Billion’s routers can fulfill the environmental requirements of those applications, Billion’s LTE routers have been certified by the top service providers, E-Mark, MIL-STD-810G, UL C1D2, etc. Billion’s LTE router provides a reliable data transmission, helping you strengthen business competitiveness to unlock revenue generating opportunities!